When I was growing up my family always went to the beach for Easter weekend. While most of my friends got a new dress and a pair of shoes, I got a new bathing suit. Maybe it seems a little unorthodox for some people, but that’s how it was for me 😉 We’d book a room at Jekyll Island (and so would our family friends) and spend the weekend riding our bikes, boogie-boarding, and eating large quantities of fresh shrimp and homemade ice cream. Now that I’m “all-grown-up” I fully-embrace the traditions of Easter, and all that comes with it… Spring is in the air, flowers are blooming, the weather is warmer – It’s a great time to break out with something new 😉 Whether your Easter celebration takes place in a church, over barbecue and fried chicken, or on at the beach – This adorable ensemble from Wild Souls is sure to fuel your Spring Fever. 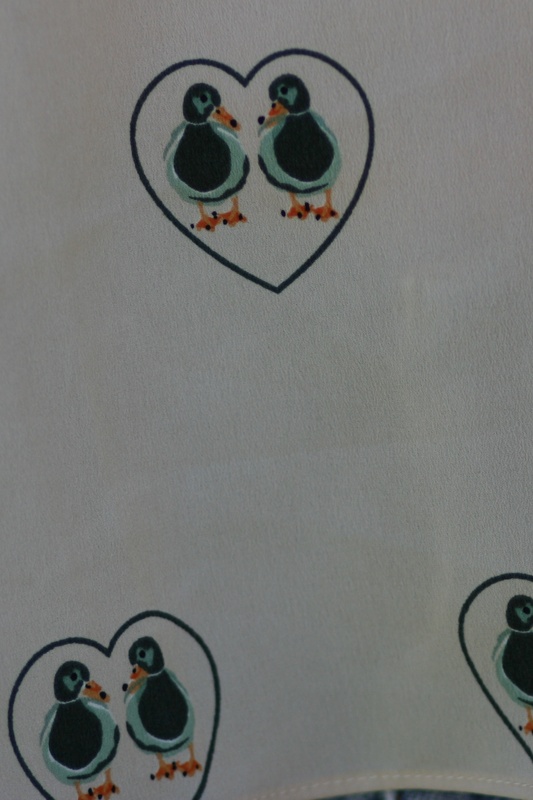 Ducky Love Blouse: This adorable top by Sugarhill Boutique features 3/4 sleeves and lovely little tulip back. 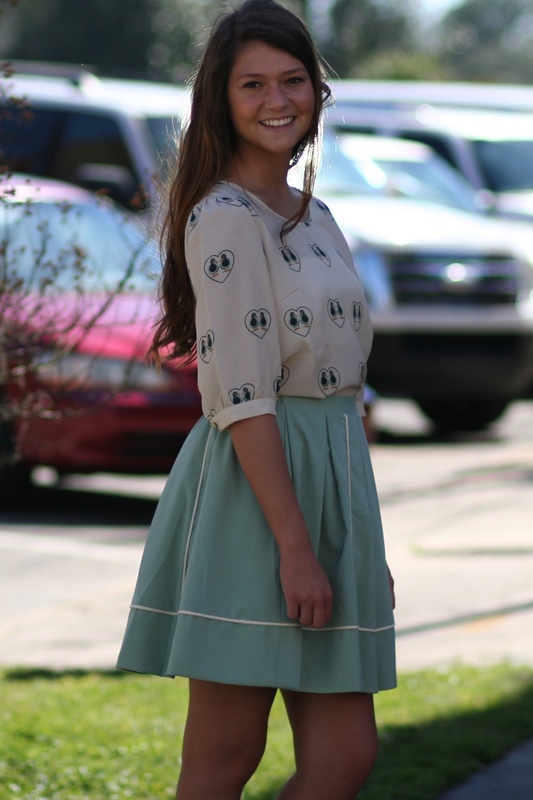 Sage Green Skirt: Full skirt with elastic in back, cream piping, and hidden side pockets.